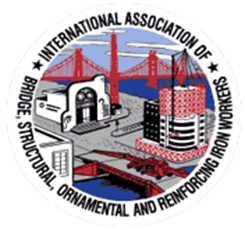 The Ironworkers Union is new to our site, so we have to odd their logo (below) and then link it to a page with the information below the logo so the Union members know how to obtain their orthotics. Pro Support Systems (PSS) serves as the preferred provider for Orthotics for the Ironworkers Union-Local 405 members and their families. The preferred provider agreement between Pro Support Systems. Inc. and the Ironworkers Union - Local 405, Philadelphia, provides for a special orthotic benefit for members and their families. PSS, a leading provider of custom molded orthotics, has been providing foot supports to various members of the Labor Trade Unions since 1988, along with professional athletes. The discounted price for members (including dependents) is $250. In order to utilize this benefit, please contact our office at 610.664.0848, or 1.800.262.3338 to purchase a voucher certificate. Once the certificate is purchased, members can access our website www.prosupportsystems.com to locate a preferred network provider for appointment scheduling and casting. Our doctors are conveniently listed on our website by area codes. Upon receipt of the voucher, members will choose a provider from the list. The PSS Preferred Provider will perform an examination, take a cast impression and provide a prescription for the orthotics. Orthotic orders for Local 405 members will be sent exclusively to the PSS lab.